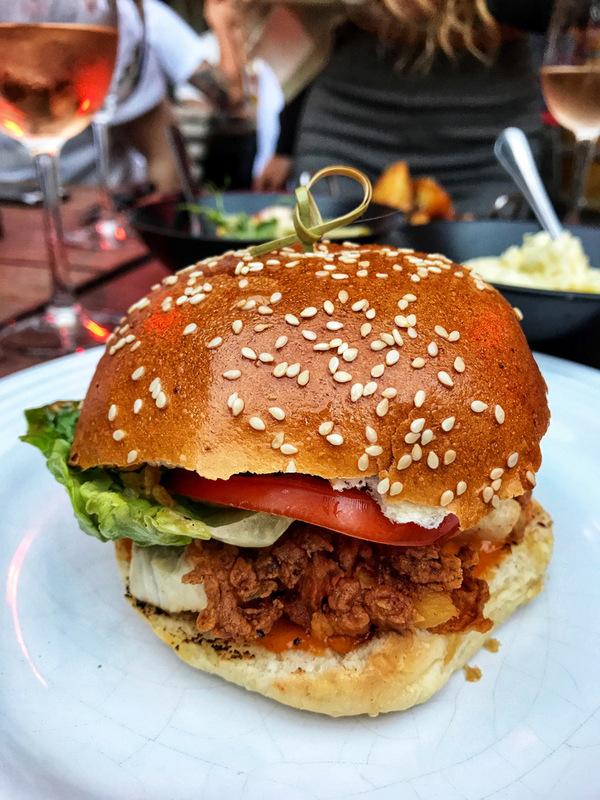 Having already fallen in love with their delicious roast chicken offering on a previous visit (check out my full Roast & Co review over here), I was very keen to try out their crispy chicken burger as well. My top tip: If, like me, you prefer your chicken extra spicy, then I highly recommend that you add a good dollop of their “Your chick is on fire” sauce to your burger. For those who get a little nervous around spicy food, their “Smoke detected” hickory smoked mayo will add some extra creaminess. One thing to note is that the special does not include sides, so you’ll have to order that separately. The burgers are quite sizable though, so I would recommend just ordering a side or two to share if you feel like something extra to nibble on. 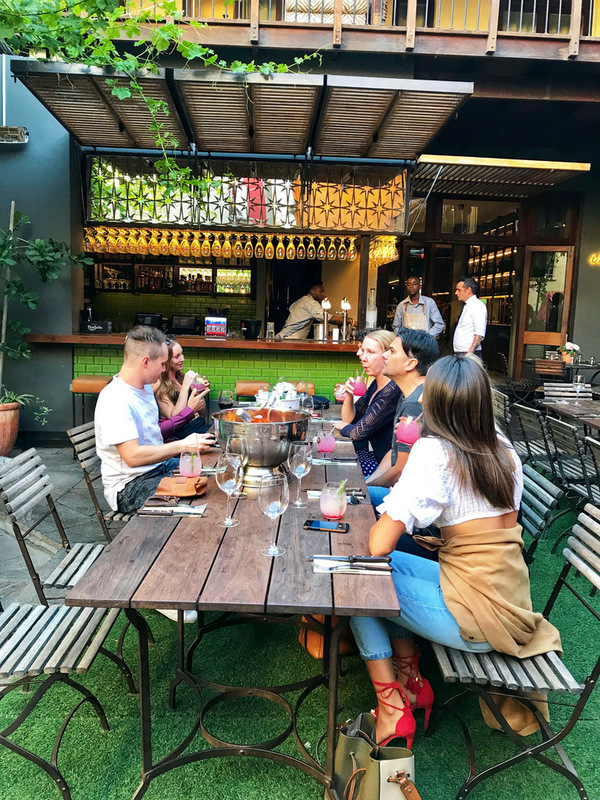 I personally really enjoy their roasted potatoes (R36), their charred corn (R48) and their pumpkin fritters (R38). 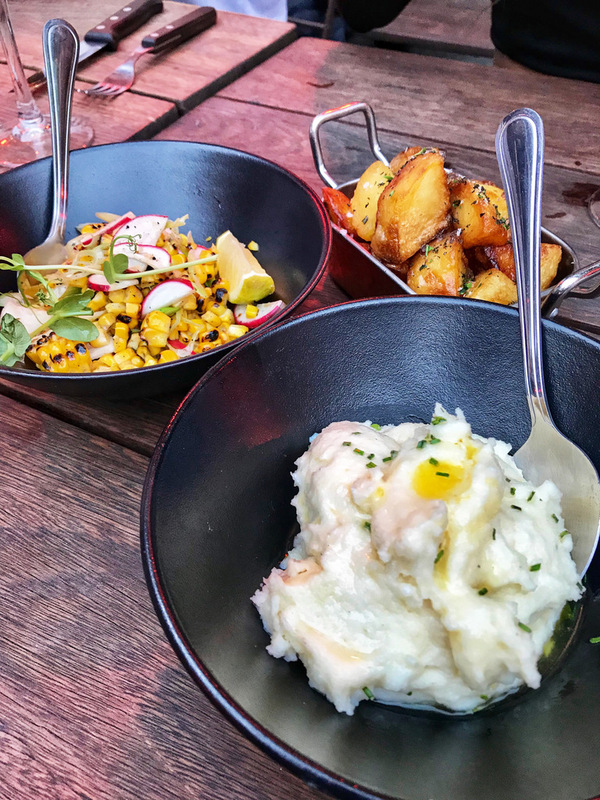 That’s the corn on the left & the roast potatoes in the back. Up front you also have their truffle pap. 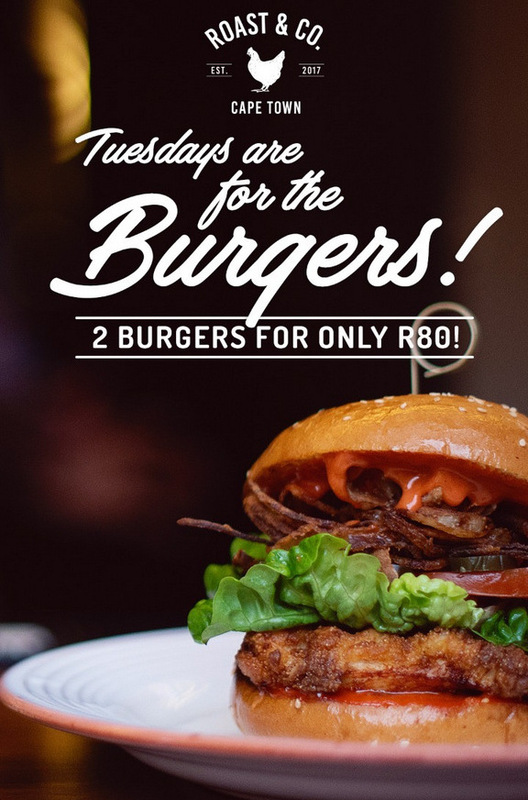 To join in on the burger goodness, bookings are recommended (although you can also take a chance with a walk-in). If the weather’s good, definitely book a spot in the courtyard & enjoy some al fresco dining. If it’s windy/chilly, their indoor seating is equally inviting. 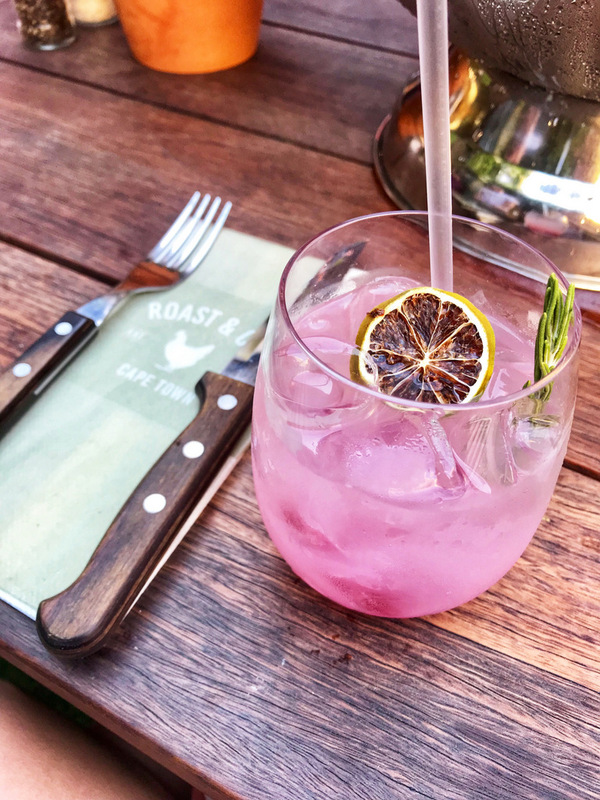 Available Monday to Saturday from 4pm to 6:30pm – Enjoy selected drinks & to-share plates at half the price. Roast & Co is open Mon – Sat, noon until midnight, BUT as mentioned above, the burger special is only available on Tuesdays (but it is available all day – not just for dinner). Enjoy!